Why do we write book reviews? You write to help other readers decide if the book is worth their time – it’s as simple as that. You are not writing to impress, entertain, or dazzle (although these things may happen), but rather simply to inform. Remembering this allows you to take some of the pressure off yourself and enjoy the writing. What should my book review include? First, a review gives the reader a concise summary of the book, including the mystery at hand. Second, and more importantly, a review offers a critical assessment of the story. This involves your reactions to it. Finally, in addition to analyzing the work, a review often suggests whether or not the audience would appreciate it. How long should my book review be? First of all, give yourself permission to write as little or as much as you want. It could be two sentences short, or describe the entire plot in great detail. Personally, I think about a review as the equivalent of what I would say if a stranger sitting next to me on the bus noticed the book and asked me about it – I’d probably say about 4-5 sentences. That being said, sometimes as a reader I really appreciate the longer reviews that detail out the plot. Sure, they don’t give you a ton of information on the plot, but it’s enough to let use know that they liked it and you might too. On the other hand, longer reviews work too – if you want to describe the plot and characters in full detail, go for it. Just be sure not to put in spoliers that would ruin the ending for someone. Here’s an example of a long review that goes into a lot of detail about a book. You’ll see that it does help you get to know the book better than the shorter review, but it doesn’t necessarily help you decide whether or not to read it better than the shorter review. How do I write a great book review? Describe what you liked about the book. What did you dislike about the book, if anything? Is there something you wanted to see more of? What readers do you think would like this book? This book was a (adjective describing how you feel about the book) story about (summarize the plot). (Add more about the plot, characters, and setting if you like). What I liked about this book was XYZ (1-3 things). I wish it would have had more XYZ (1-3 things). I think [describe the ideal reader] would love reading this book. Remember, you are just trying to help a fellow reader decide if the book is worth their time. 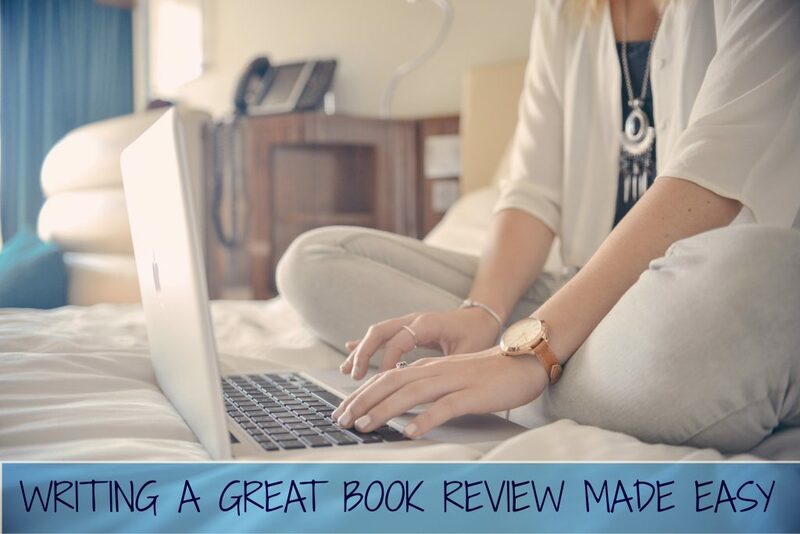 If you keep this audience and goal in mind, writing a book review can be easy and fun. If you would like to review my books and get them for free, sign up for my mailing list here. Thank you for spelling out the process of writing a book review. It always feels daunting even when I love the book.